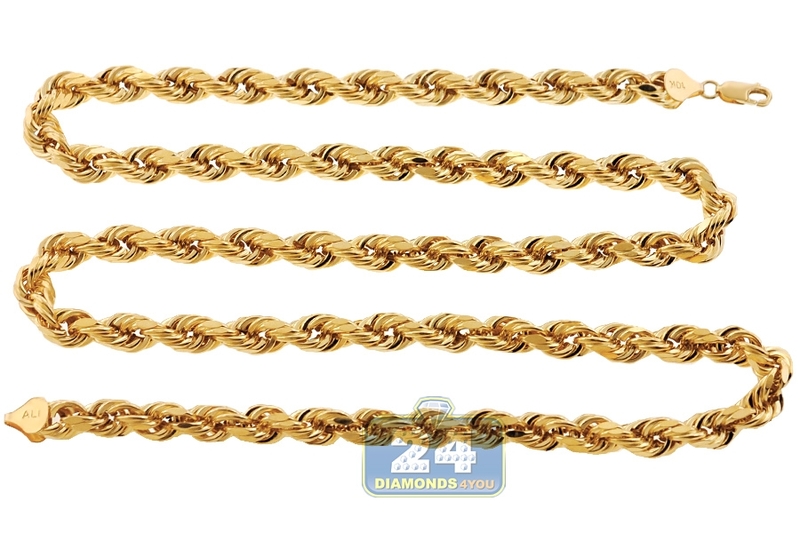 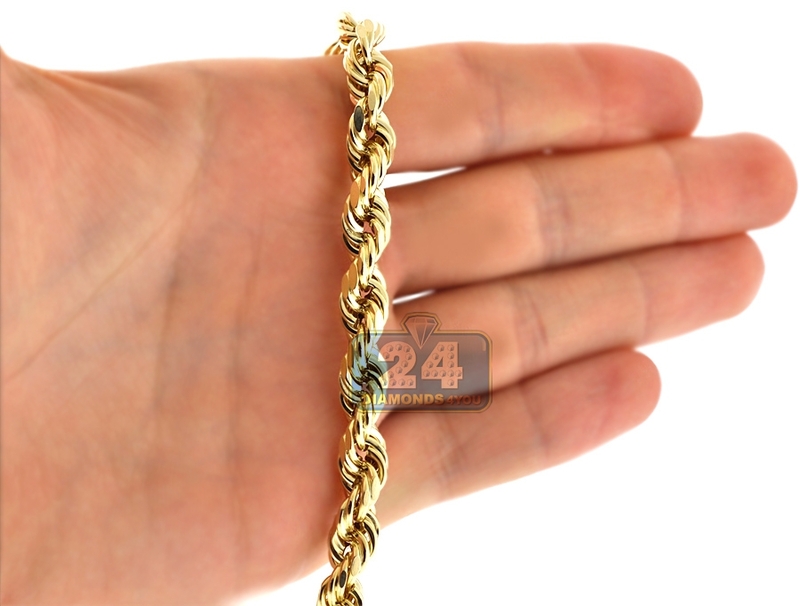 10K Yellow Gold Diamond Cut Hollow Rope Chain 7 mm 26 28 30"
Bold looking and ultra upscale hollow rope chain adds instant sophistication! 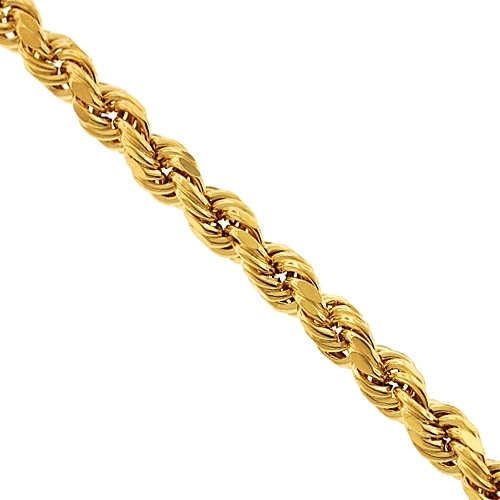 It's professionally created from Italian 10k yellow gold, and has diamond-cut finish that gives extra shine. 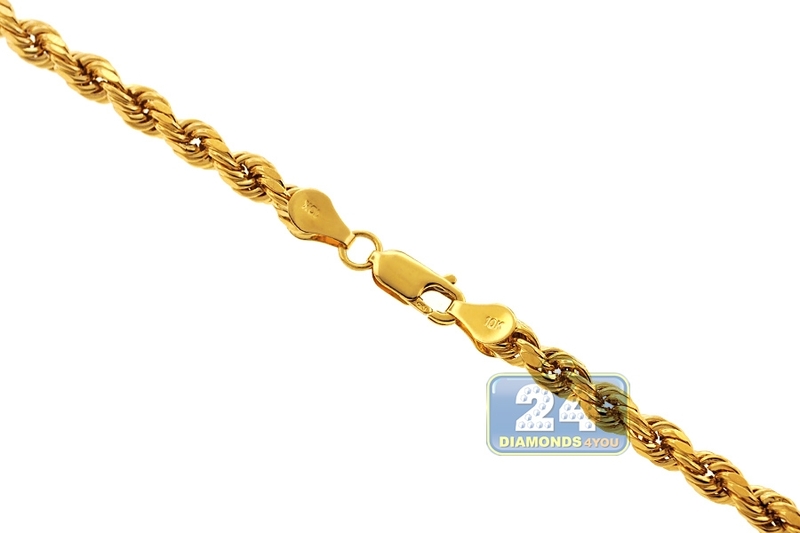 The piece of jewelry measures 7 mm in thickness, and available in length of 26, 28 or 30 inches. 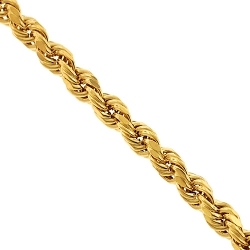 It's also closed with a user-friendly lobster claw clasp. This men's gold necklace will grace your neckline with luxurious shimmer!